Window that is. (Don't you just love Otis Redding?) 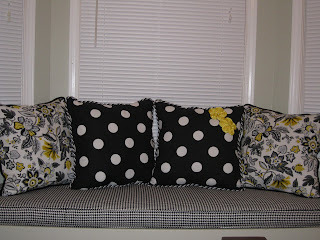 I have two bay window seats in my home. One in the master bedroom and one in the living room. 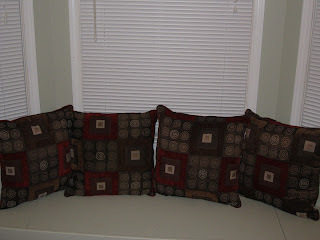 Today I'll be focusing on the master bedroom window seat. I do have a picture of the very horrible and ugly seat as it was when I bought the house, but alas, I have been busy lazy and haven't uploaded it yet. 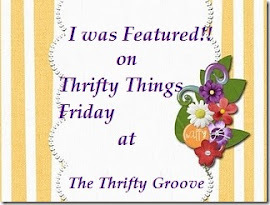 Another thing I realized, I should have taken the time to hide the electrical cords in my last post! I'm not good at this staging pictures thing yet so bear with me while I learn. Here is the very barren before picture. I cashed in Amazon gift cards and ordered my fabric. Fabric.com offers free shipping on orders over $35 so the fabric (and shipping) was also FREE! My mother and I measured the old pillows, ironed and laid out my fabric, then we proceeded to measure and cut out the soon to be new pillows. This project was supposed to be a sewing lesson for yours truly but I have a confession-I didn't sew a single thing on these pillows. I was too nervous that I wouldn't be able to sew in a straight line, much less sew on cording. So I let my mom do all of the hard work (*bad daughter*) while I was her glorified gopher, fetching her whatever she needed. I will say that I think she enjoyed telling me what to do. She even started calling me grasshopper. "Grasshopper, go get me those upholstery needles." "Grasshopper, hand me the seam ripper," etc. etc. 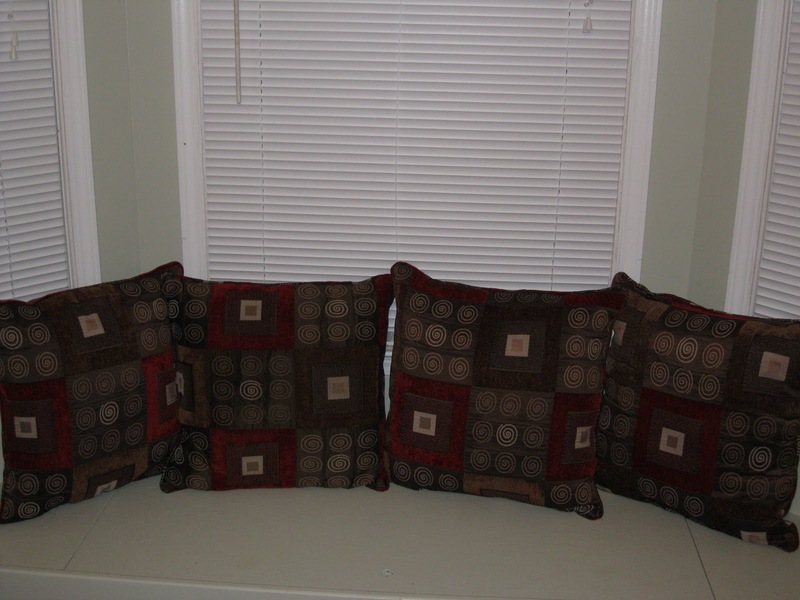 Unfortunately, when I cut the old pillows open, I discovered that they were filled with poly fill and not with a pillow form. So, as gopher, I also became the glorified pillow stuffer. As far as the actual window seat cushion goes, for this we measured the dimensions of the bay window seat area and cut a large 3" piece of foam to size. With an electric turkey carver no less. Who knew? (My mom would like to disclose that this is a trick she learned in her upholstery class and she suggests next time you have a large piece of foam to cut, you try this trick as well.) Then once again my mom did all of the hard work of sewing the pieces of fabric together. 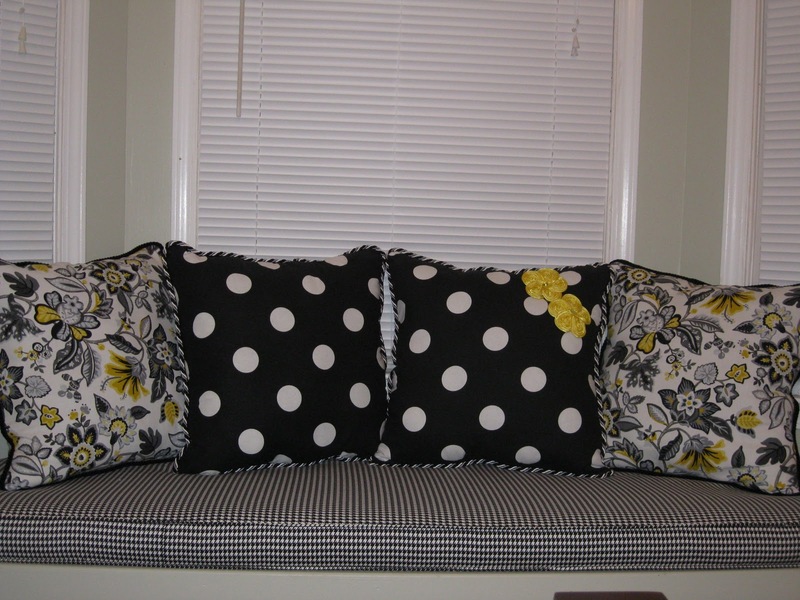 Here is the window seat now. I think it looks fantastic! Don't you? I can't wait for you all to see the complete master bedroom makeover! P.S. In the future the mini-blinds will be disappearing, but as I am working on a limited budget they are here to stay for the time being.